With seepage, also comes the mold and the mildew which is extremely detrimental, not only to your house but also for your health! Left unchecked, mold can literally eat up your house and result in a musty and damp smell pervading it. Apart from wreaking havoc on the house, mold and mildew can result in severe allergies as the spores can be inhaled. 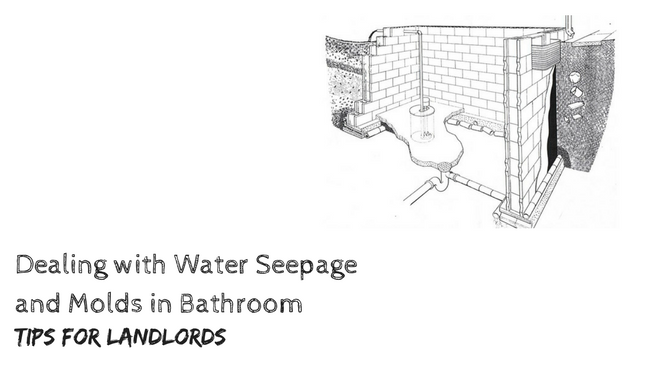 If you leave the seepage untreated, it can cost you big later on. To get a fair understanding of the problem, we first need to understand what molds and mildew are. Belonging to the fungi category, molds and mildew (molds in early stage) can develop on damp surfaces in as little time as 24-48 hours. Then the molds start reproducing through spores in the air which is an additional health hazard. They start feeding on organic materials like wood, wallpapers, carpets and more, gradually digest and destroy them. If found in time, the damage caused can be limited. To be on the safer side, learn to recognize the early signs of infestation. Water stains are the first tell-tale signs that you need to look for. Damaged flooring or walls are the other indicators of mildew growth. Another sign of water seepage is a stale musty odour that spreads through the house.